Shazwani Hamid's Blog: WATCH TOY STORY 3 AT TGV & STAND TO WIN A LIFE-SIZED LOTS-O-HUGGIN’ BEAR WORTH RM800! 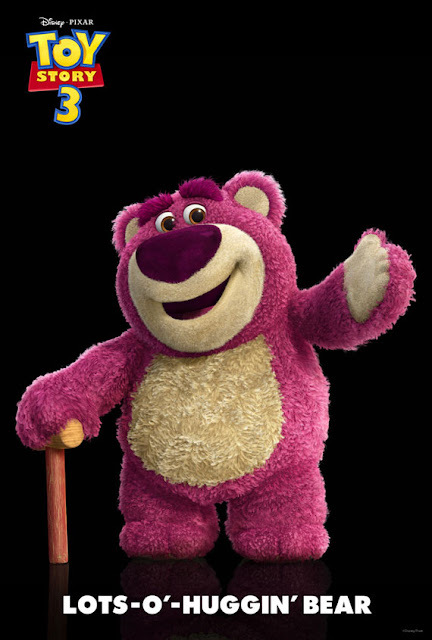 WATCH TOY STORY 3 AT TGV & STAND TO WIN A LIFE-SIZED LOTS-O-HUGGIN’ BEAR WORTH RM800! Anyways.. The movie really really reminds me of myself cuz when I was little, I too just like Andy, have lotsa toys (Barbie especially! )..and when I grow up..all those toys were given to other people, to small kids, to orphanage and etc.. That’s what Toy Story 3 is all about! – It focuses on these toys dealing with a situation in which their cherished owner, Andy is preparing to depart for college. So as Andy prepares to depart for his college, Buzz, Woody and the rest of his loyal toys are troubled about their uncertain future. The toys were kinda disappointed that Andy doesn’t want to play with them anymore. So they sneak into a box to be donated to Sunnyside Daycare and over there, they met some other toys and receive a warm welcome from the toys at Sunnyside, led by Lotso the cuddly, plush, warm and fuzzy called "Lots-O'-Huggin' Bear"… I won’t continue on the stories..you have to watch it for yourself ok! Anyway guys.. I have something to tell you today! Entry forms are also available at TGV Cinemas. 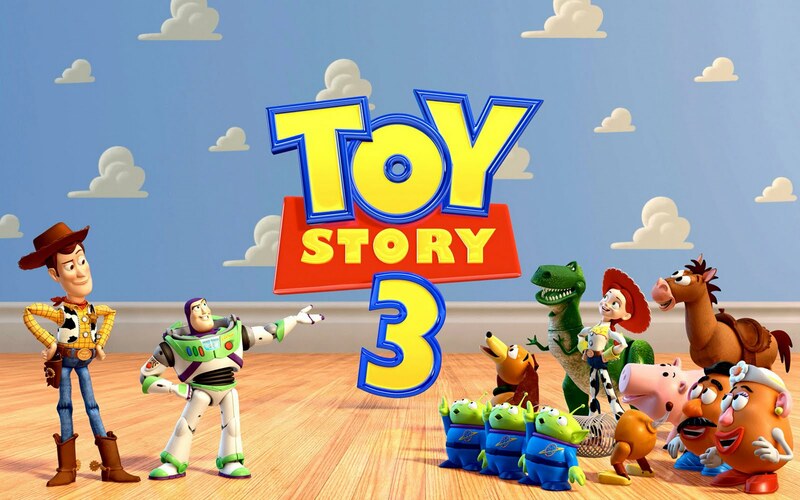 Just purchase 2 TOY STORY 3 tickets at any TGV Cinemas to get one (1) contest form. Each entry requires the participant to answer one simple question and complete a slogan in less than 120 words! 10 LIVED-SIZE LOTS-O’-HUGGIN’ BEARS to be won nationwide! Each bear is worth RM800! Experience the comfort of watching TOY STORY 3 at TGV Cinemas because of the spacious, larger seats, a wide variety of snacks & beverages offered, huge selection of screening times and convenient locations right in the heart of your neighborhood. This contest is held exclusively at TGV Cinemas! How do I get LOTS-O’-HUGGIN BEAR? All you need to do is collect two Toy Story 3 movie ticket stubs to be eligible for one contest form. The person who sends in the correct entry with the best slogan will get to take home a 4ft tall, imported Lots-o’-Huggin’ Bear. But hurry, there are only 10 imported Lots-o’-Huggin’ Bears to be won nationwide! Just submit your completed form to any TGV counter with the two movie ticket stubs you’ve collected. Movie goers may submit multiple entries. There is no limit to the number of entries per person. The winner will be selected based on the correct entry with the best slogan submitted. Contest runs from 17 June 2010 until end of the movie’s screening. Hurry! Any submission after the movie has ended will be considered invalid and disqualified from the contest. 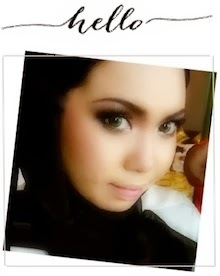 Log on to www.tgv.com.my for more info. Movie ni sangat best kan. I love Bonnie!!! she's so cute!